Information is changing, and so journalists must too. In the previous parts of this series I’ve looked at how the news process could change in a multiplatform environment; how to involve the former audience; what can now happen after a story is published; journalists and readers as distributors; and new media business models. In this part I want to look at personnel – and how we might move from a generic, hierarchy of ‘reporters’, ‘subs’ and ‘editors’ to a more horizontal structure of roles based on information types. The strategy of many news organisations so far has been to simply require existing journalists and editors to do more – to make videos and podcasts, take photos and write blogs; to scour social networks and forums and video sites; to encourage user generated content and audience participation. Some have created new positions for community editors, Flash developers and even ‘Data Delivery Editors‘, but those positions are still relatively rare – and the skillsets to do those jobs, even rarer. I’ve identified 6 journalist roles based on 3 core types of information that I see journalists dealing with in a networked environment. Perhaps you can suggest other roles – or other types of information: This is by no means a complete list. Feeds (RSS) – not just from news sites and blogs, but anywhere. This post on Passive Aggressive Newsgathering has more. Social networks – online and offline. You might have called them ‘contacts’ before, but the online element puts things on a different scale and footing. And here’s why: contacts should now be as likely to seek you out, as vice versa. Databases – publicly available, accessed through processes such as Freedom of Information requests, and built in-house. In the traditional newsroom, the sub sat between the journalist’s content and the reader. In the 21st century newsroom, this is inverted. In a world of information overload, those subbing skills take on a new role to collect feeds together (aggregating), identify the useful and relevant stuff (filtering), publish it (bookmark-blogging), identify legal issues and verify where necessary. In other words, what many bloggers have been doing for years in providing a ‘pre-filtered web’ by highlighting the good stuff in their RSS feeds – and for this reason, the Aggregator-Sub may be an existing blogger employed part time or paid a syndication fee (presumably with some training in areas of concern such as law and house style). The Aggregator-Sub could also perform an important role in the newsroom, highlighting useful leads for other journalists to pursue, or building widgets that present selected aggregations of feeds. A good example is Jemima Kiss’s Newsbucket. As news organisations cut the budgets and focused on efficiencies, reporters found it harder and harder to justify time outside the office, becoming increasingly reliant on public relations and official sources in their pursuit of regular, reliable copy. 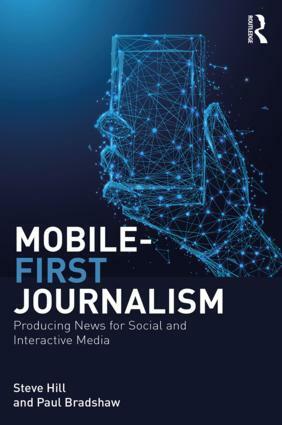 Ironically, one of the most positive developments of networked technologies is to enable journalists to leave the office while still being connected via mobile phone and 3G/wifi-enabled laptop. The investigative journalist of the 21st century is someone who can work with databases and spreadsheets, picking out interesting patterns, pushing the powerful for data, and having an understanding of the vagaries of statistics. Adrian Holovaty’s ChicagoCrime.org is the godfather of the form, while the New York Times recently launched its own Visualisation Lab. More recent examples include Stephen Grey, Heather Brooke, Louise Acford, and Dominic Casciani. For an idea of the job spec, here is what the Chicago Tribune was asking of applicants, and here is what the Roanoke Times expected the person to do. For examples of database journalism in action, see my Delicious bookmarks on the topic. For all the quality versus quantity arguments, there is nothing inherently wrong with some journalists becoming jacks of all trades (after all, that’s what they have had to be editorially). An understanding of how a story or issue can be explored on a range of media makes a significant difference in how you come up with story ideas and gather information. The Multimedia Producer has this understanding, and most likely technical skills across audio, video and image production, blogging, using databases, mapping and mashups. They may not do all the work themselves – for example, working with Flash developers on database-driven interactives, or asking a MoJo to get a particular piece of video – but they can see the possibilities. Here’s a job description from the Roanoke Times (again); another at The Day; and here’s an interview with Regina McCombs of the Star Tribune about her Multimedia Producer role. 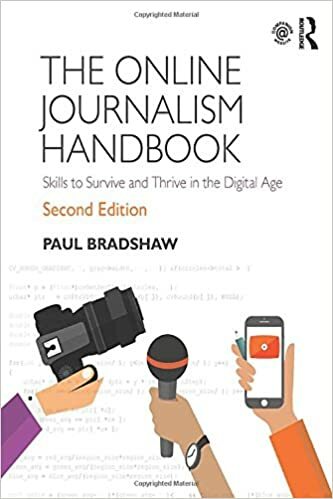 This is the specialist reporter for the 21st century: now it’s not just about knowing their subject area, and the big names, but also being visibly networked in that environment, blogging, vlogging, bookmarking and commenting across their specialist parts of the blogosphere. The successful blogs – Mashable, TechCrunch, Daily Kos, Boing Boing, TPM – are past masters at this: not just reporting on what’s happening, but engaging, passing on, and acting as a crossroads of traffic. I said earlier that the online element puts community contacts on a different scale and footing. Sources become collaborators, co-writers and distributors, and the Community Editor’s role is to manage that, building communities, helping start or fuel conversations, preventing them turning nasty, supporting users, inviting guidance and help, and assisting them in certain projects. There are plenty of journalists performing a community editor role, including Shane Richmond at the Telegraph, Joanna Geary at the Birmingham Post and Mail and Andrew Rogers, head of UGC at Reed Business Information. I’ve been conducting a series of interviews asking community editors for their top three lessons. As you can see, the different roles relate to expertise in different types of information. Databases are used particularly by the Data Miner and the Multimedia Producer; feeds by all except the Data Miner (it’s not essential to what they do but could be fed into it, for example a Google Spreadsheet has an RSS feed); and social networks are important in the work of the Community Editor, Networked Specialist and MoJo. But as always, this is a work in progress. What unusual jobs have you come across as news orgs move to new media? How is information changing, and how does that affect journalists’ roles? Wonderful work, excellent diagrams, and thoughtful analysis. Now who is going to pay for it and how much? Surely the point of a lot of this is that it’s about behavior and free resources. The cost is in time. Now, I know that time is money but it would strike me that it’s not for people like Paul to explain how to pay for this stuff. The who is any organisation that thinks it’s important and the how is entirely up to them. Thanks for that Paul. By that analysis I’m doing three jobs for the pay of one! I cannot implore you enough to create a style sheet for printing! I’d love to be able print these materials out and read them (from paper, properly styled – I know it’s heresy!) at my convenience. Please consider this! Thanks for the nudge, Jeff, been meaning to do that for a while. Plugin installed, hope it works. Great post. At first I had trouble relating to the roles outlined but when I did a mental cross-check, I realised I’m falling somewhere between three of them, like Jo Ind. Mag or client-based media that is trying to integrate its print and web products is perhaps having a harder time than pure online because, in those places, print products are going to press so much earlier due to the long print process – which means subs trying to take what works for online from the print products and rewriting/repackaging or researching new copy. This adaptive role may go on for a while to come in the 21st century. The other thing I was thinking is that as a sub I’ve also been involved in checking that navigation works on a microsite or that a 12-week email programme ties in with the rolling out of scheduled uploads, and those type of subsidiary elements that a sign-up reader would expect to be correct. There’s probably other things that will come to mind. Roles in flux either way!